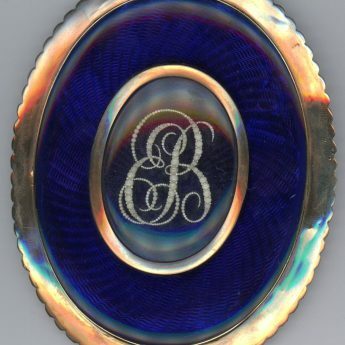 Having worked closely with his uncle, George Engleheart, since the age of fourteen, John Cox Dillman Engleheart finally gained his own studio at 88 Newman Street in 1807/8. 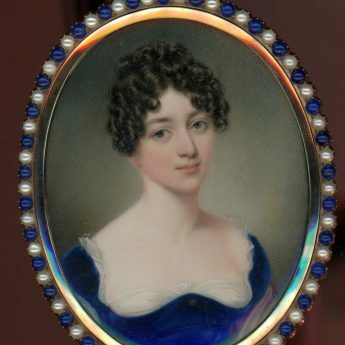 His technique and style was inevitably influenced by his uncle but independence brought with it a new confidence to paint larger-sized miniatures and to use a bolder palette. 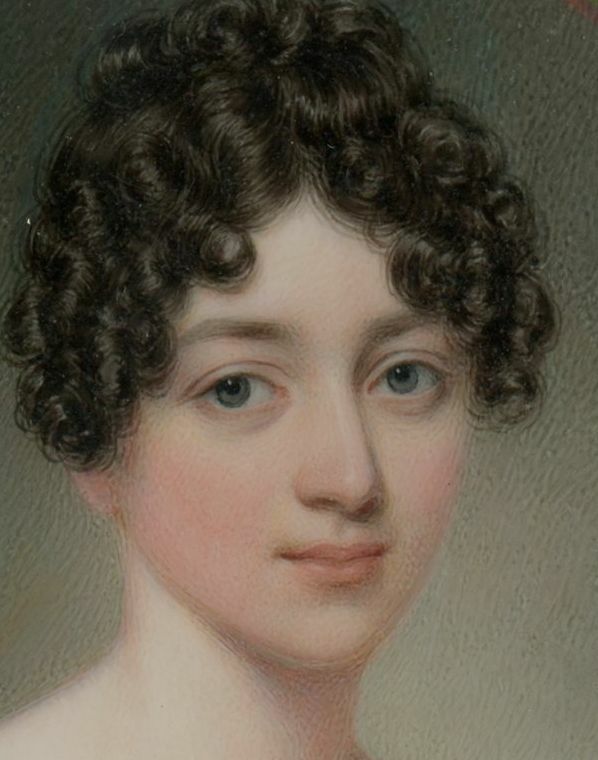 Dated 1815, this portrait is a formidable and well-modelled example of the younger Engleheart’s ability. 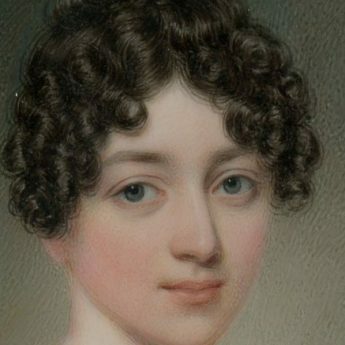 It shows a young lady at the height of the Regency period when dresses had very short waists and revealing necklines, though here she has a modest fill-in. Her curled hair is very much à la mode and there is a glimpse of a pinkish-brown wrap over one arm. 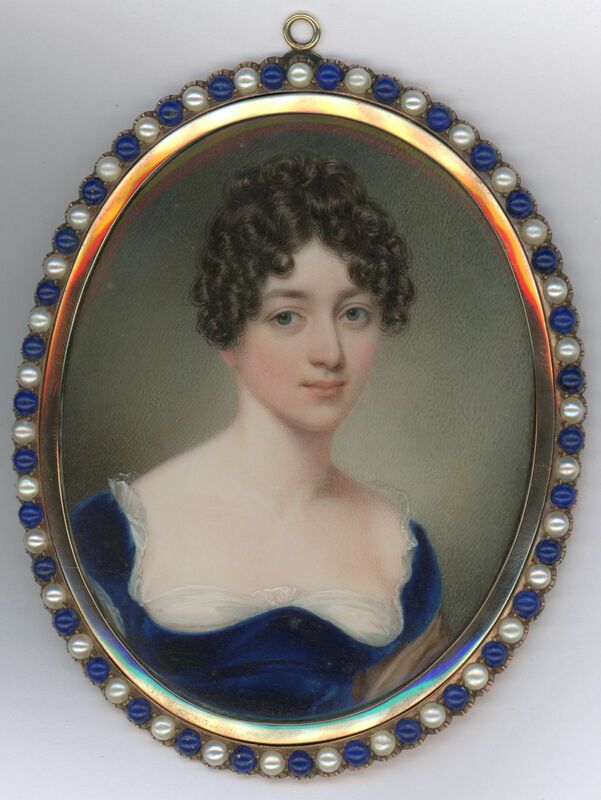 The portrait is signed on the reverse with the 88 Newman Street, London address and is dated 1815. 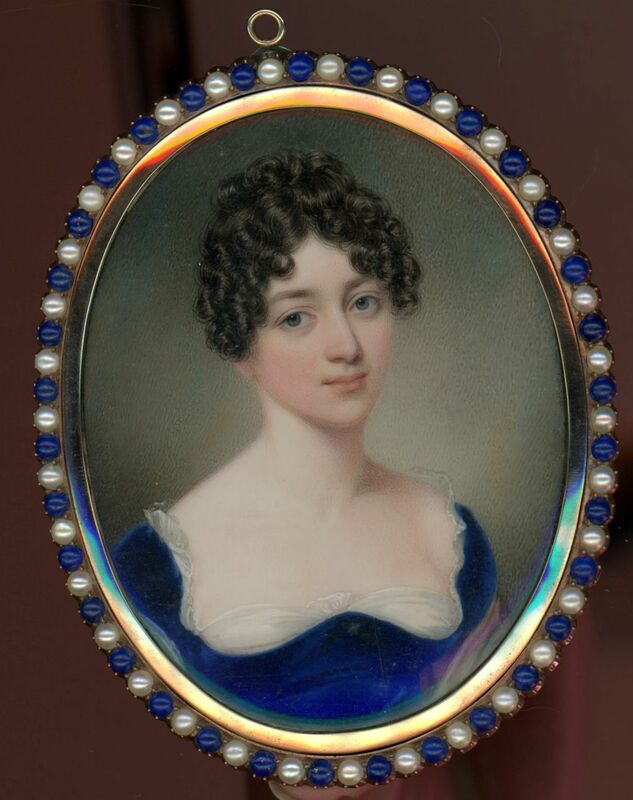 It is beautifully set in the original gold frame with a split pearl and lapis lazuli border that compliments the sitter’s dress. 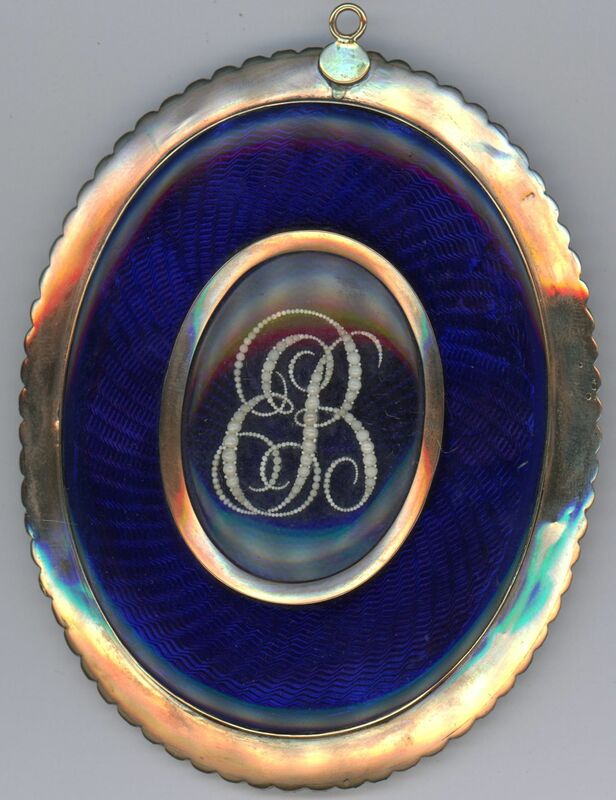 The reverse side has a blue glass border with an inner domed aperture revealing the seed pearl monogram ER.